Still cheaper in tescos for the larger packet. This is 34p per 100g, while at Tescos its 28p per 100g. 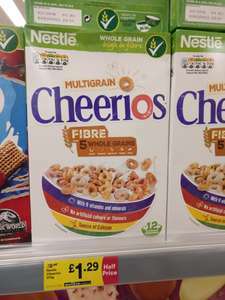 Nestle shreddies are a better buy at Iceland, 625g box for £1.34, nationwide deal Instore and online!